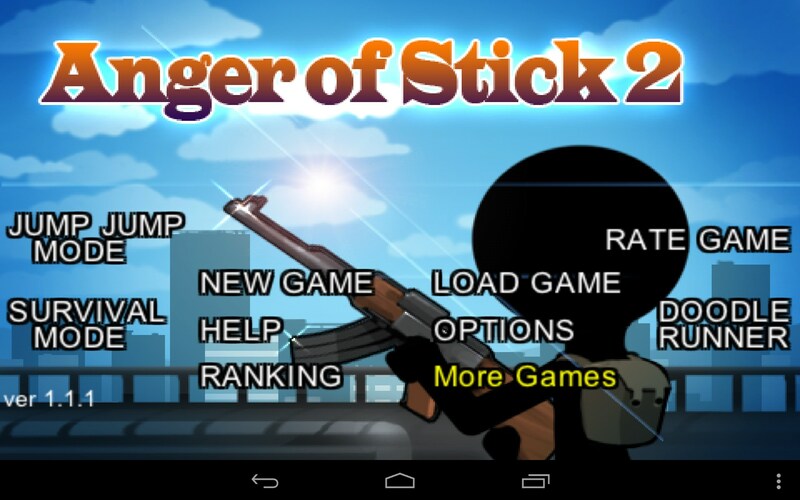 Anger of Stick 2 – Games for Android 2018 – Free download. 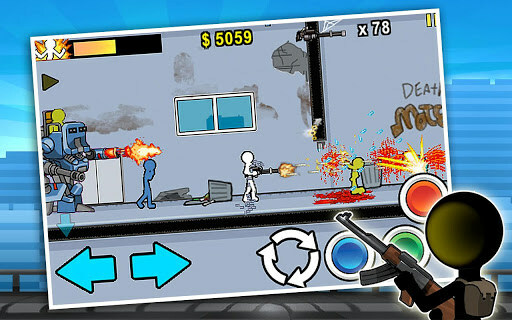 Anger of Stick 2 – Stickman style fighter. 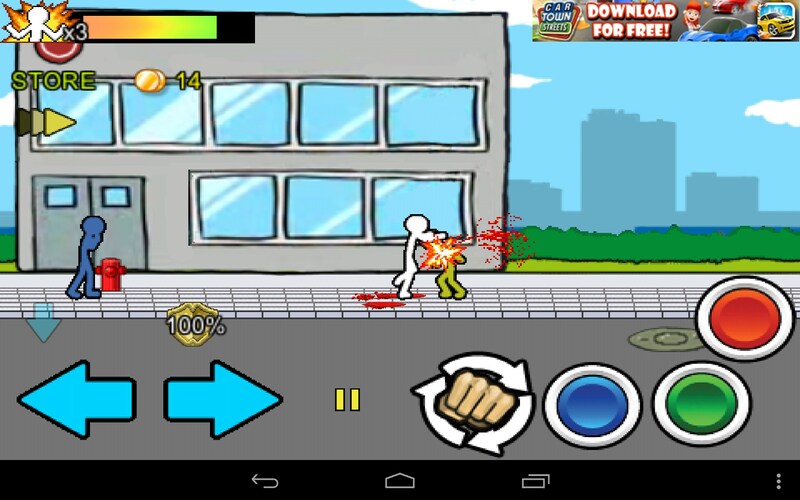 Anger of Stick 2 for Android is your basic stickman meets a vicious street fighter. It’s unusual, bloody and violent; in short, kinda fun. 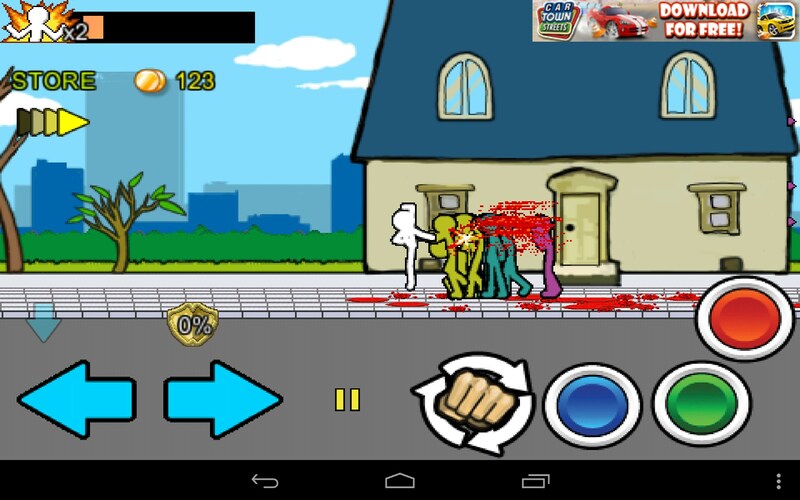 Anger of Stick 2 is a weird little fighting game. 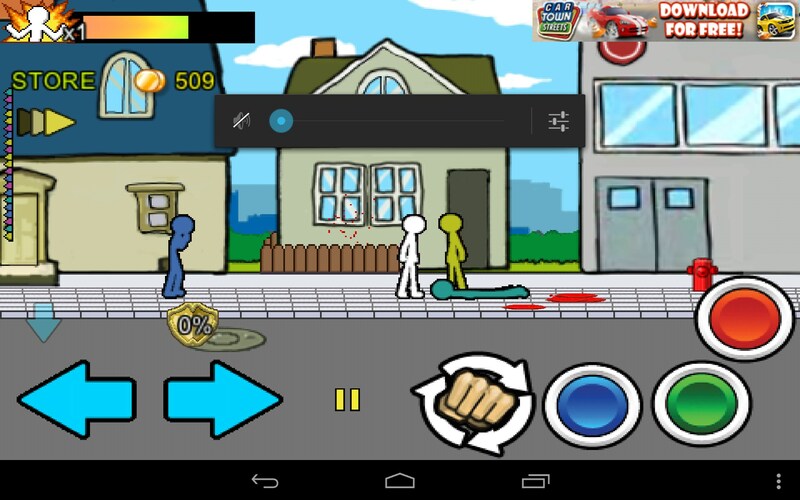 You are a stickman running through the streets of Stickville (I dunno if that’s what it’s called, I just made it up.) 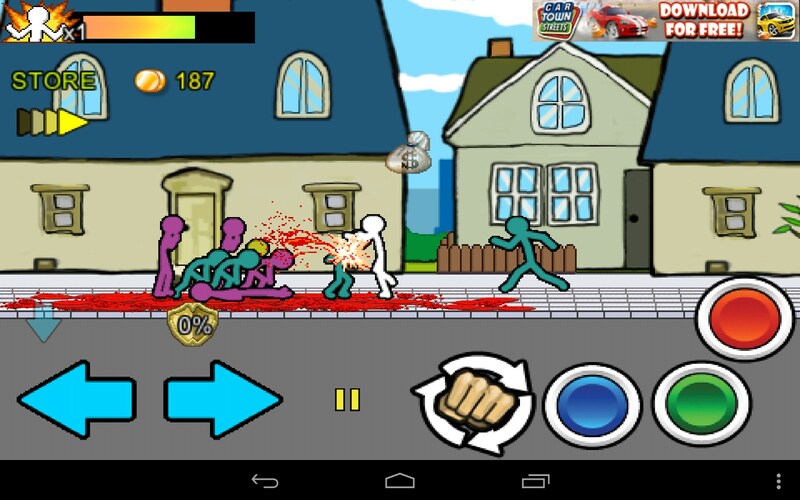 The streets of Stickville are a very dangerous place. 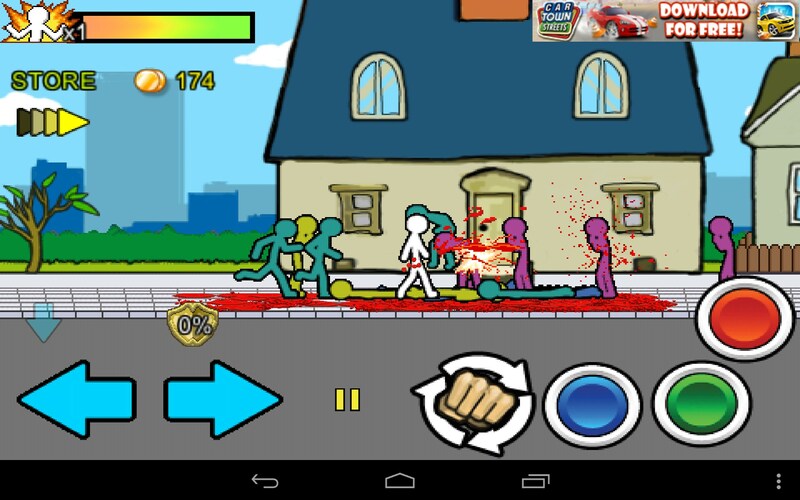 There are all sorts of mean and bad stickmen running after you. Your objective is to run to the end of the street and escape. But if you think you’re going to be a coward and just run, think again, my yellow bellied little stickman friend. Your enemies must be dealt with. 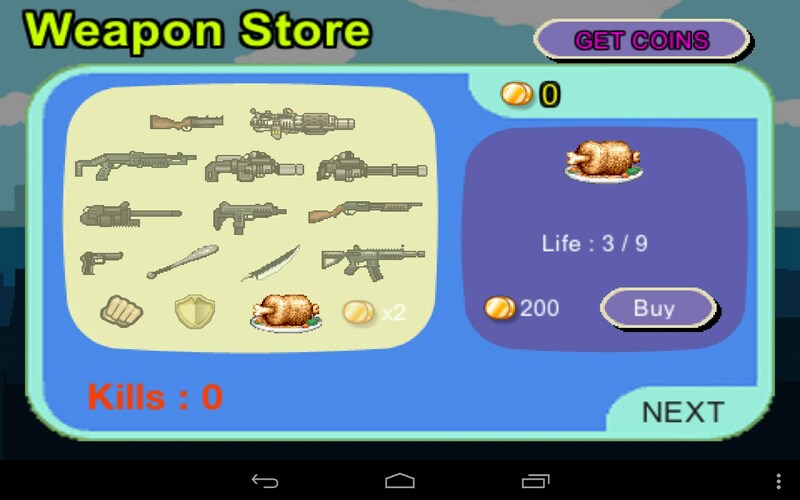 Beat the crap outta all of them, or they will hunt you down, gang up and beat the crap outta you. 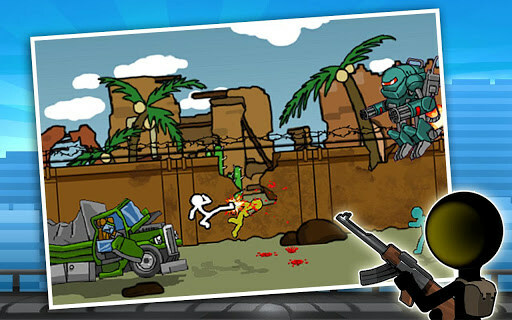 Last stickman standing wins and gets to escape the block. There is a lot of violence packed into this silly looking innocuous game. 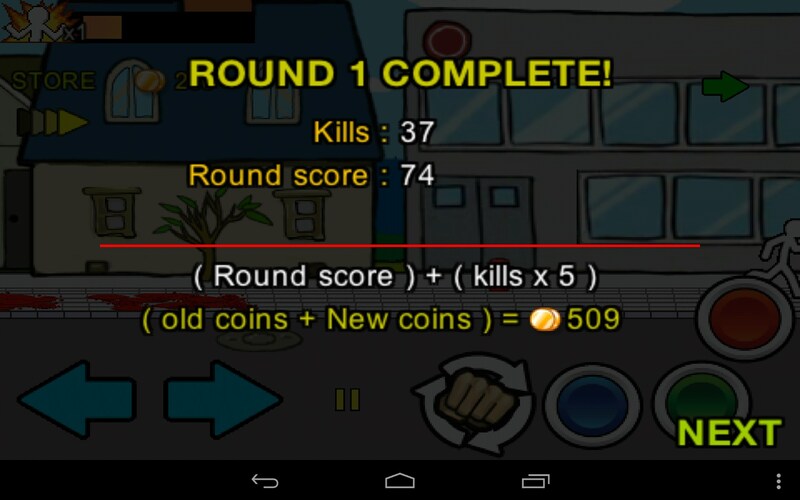 There is a lot of bloodshed as you bash in heads with no mercy. I love all the combination shots and the running dropkicks that send enemies flying and spilling blood. You can cat pretty down and dirty with your bad ol’ stickman self. The controls are confusing at first, but like most combat fighting games, if you just pound the crap outta all the buttons, that usually equals pounding the crap out of everyone on screen. The action is fun, the sounds are silly and the animation is appropriately crude and underdeveloped for a place named Stickville; coined by yours truly. 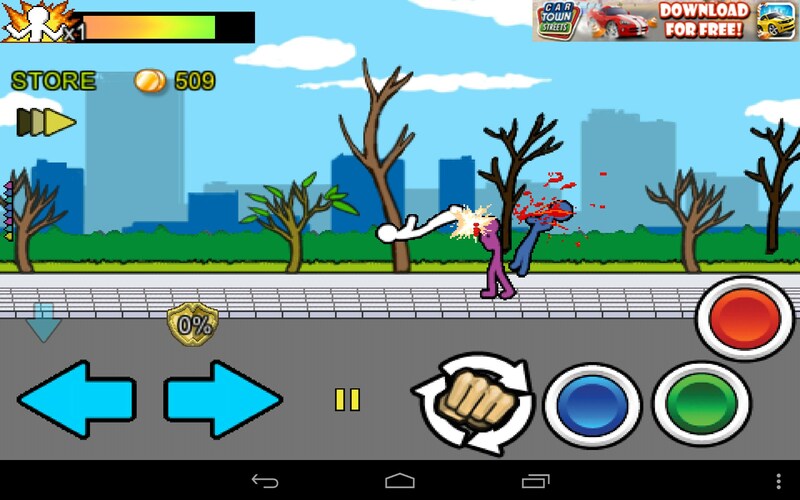 Anger of Stick 2 is surprisingly fun, though perhaps a little too crude. 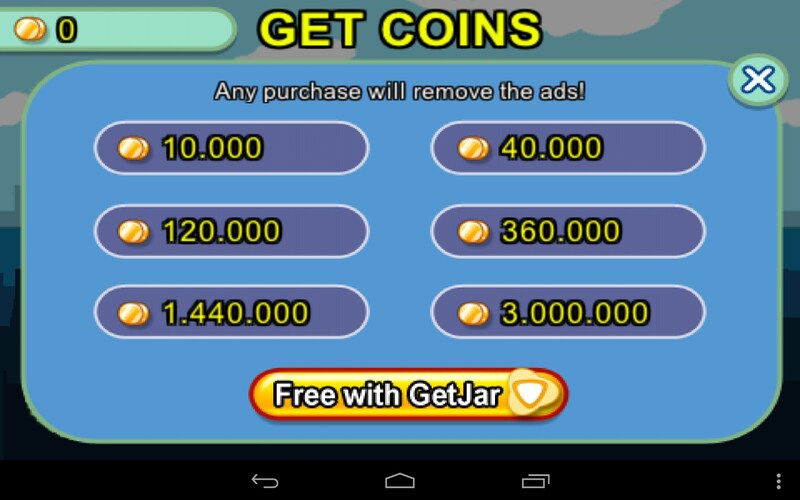 The menus and app structure needs refinement but the play is interesting.